After just one year in the job, 2GO Breakfast host Akmal Saleh has revealed he won’t return to the Mandy and Akmal show. Akmal says he will be spending more time with family and pursuing further comedic opportunities. “There are many things that I am going to miss about working here at 2GO but I think without a doubt the person I’m going to miss the most is Singo the Butcher!” he said. 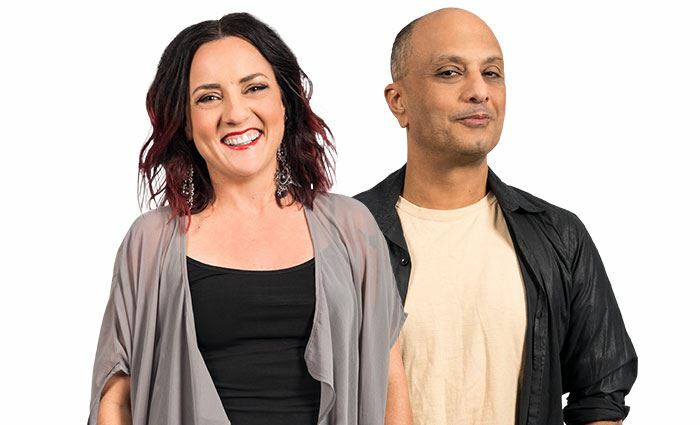 “It’s been a real pleasure to have Akmal grace our airwaves with Mandy on the Central Coast throughout this year,” said 2GO content director Peter Yiamarelos. “In 2019 a new voice will be joining the breakfast show, led by returning co-host Mandy Coolen. 2GO will hold a live broadcast shortly to give listeners a chance to farewell Akmal. The final Mandy and Akmal Breakfast show will take place Friday December 21. “2GO will hold a live broadcast shortly to give listeners a chance to farewell Akmal”. Roll up Roll up. After 1 year of taking the piss out of the joint? When is Sarah King’s farewell happening after 27 years? You’ve poisoned yourselves. If you’re planning to build on that growth, that will be protracted incrementalism in the unforgivable extreme. What about me? I’ll do it!! I really thought others would have gone before him. Mandy? The CD? Even the anchor? I switched off with Akmal will now be coming back to 2GO.